Happy first official day of summer! Summer is one of my favorites seasons (second to fall of course)! Summertime is filled with trips to the lake, ice cream trucks, walks to the library and of course no school! It was so much fun talking about all things summer with the girls and asking them to list all of the activities they were excited to do before school starts up again in September. 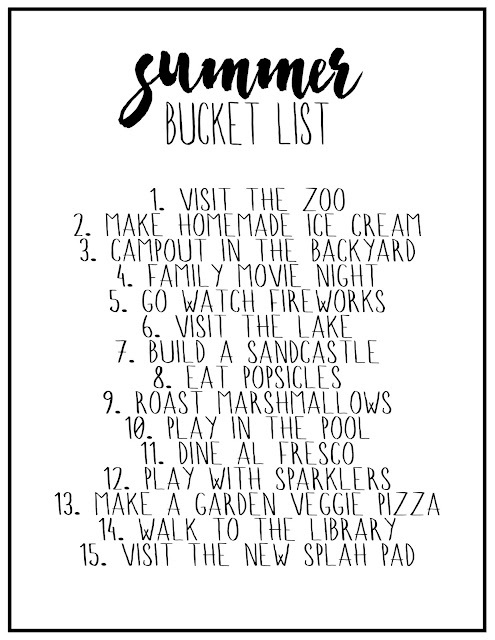 With all of the humidity and predicted rain for the coming weeks it will be pretty interesting with all four girls at home but we are more than excited to start checking off this list! What's on your summer bucket list? !